I'm been a bit of a wallflower lately, and haven't really been dressing up. It's hard to find incentive when all I'm doing is sticking close to home, working from the Citizen HQ, which in all reality is the back room of my casa! So I need a reason to spruce up, and a good one! Since I've got all the skills needed as a fashion blogger to style a good outfit and take some flattering pics, let's put them to good use. Announcing our #SECONDHANDFIRST Fridays. Each week, we'll be focusing on the Shop Secondhand First pledge, and the people who've taken the pledge. AND, on the last Friday of every month, we'll be hosting a #SECONDHANDFIRST link-up, where you can share your outfits that feature the values of thrift, ethical and sustainable shopping. And I'll have an excuse to doll up in my favorite thrifted, secondhand sourced or ethical branded garments, so it's a win/win. Use hashtag #secondhandfirst whenever you'd like to share your favorite thrifted outfits on Instagram, Twitter or Facebook, and be sure to link up here of course, as well. I pledge to shop secondhand first. I resolve to buy items that are thrifted, swapped or handed down. My aim is to limit my consumption, and in doing so, I make my shopping more sustainable. I pledge to support businesses who commit to sustainable + smart design. My focus is on quality, and ethically produced new is my conscious go-to. I will barter + swap when possible, and shop charity, consignment and flea markets when probable. 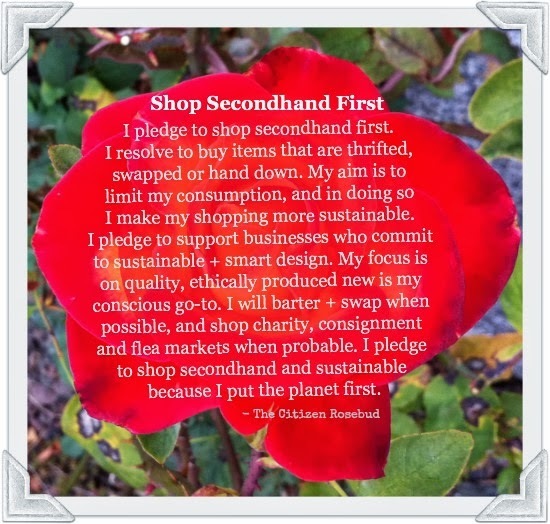 I pledge to shop secondhand and sustainable because I put the planet first. Our premiere event will be next Friday, February 28th, and I hope to see you there! Hi Bella - This is the most fabulous idea! You are rad! First of all, I love that photo with the brick wall. You should make a poster like that. And have a Shop Secondhand First Friday is a great idea. I'll start planning my post right now! I'm in! What a brilliant idea!! and authorized retailer of Hoy Shoes!!!! !Have you tried one?I am sure you won't be disappointed. Oh I love this event!! 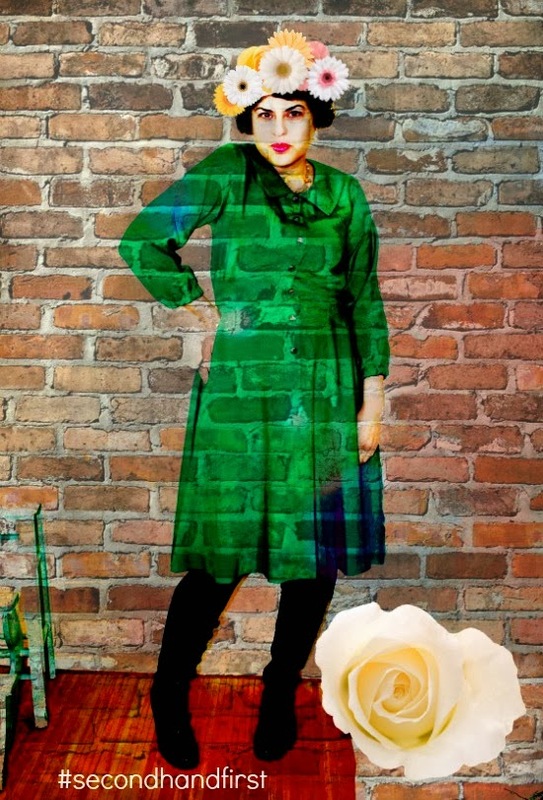 Will do my best to participate...also loving that firs image of you..such a pretty effect with the wall, Bella. Woot! 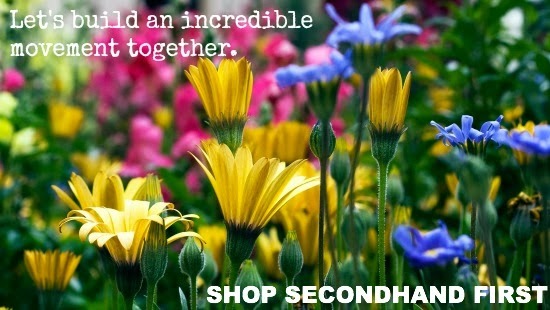 Let's show the world how awesome secondhand can look! Oh dear.. I am never going to make it. As I am a sucker to anything that is sold, thrifted or not. The only thing I really avoid is cheap clothes of which I suspect were made unethically. And I would not have a problem posting a thrifted piece of clothing to your Friday. But A) I post on a Sunday and only once a week. 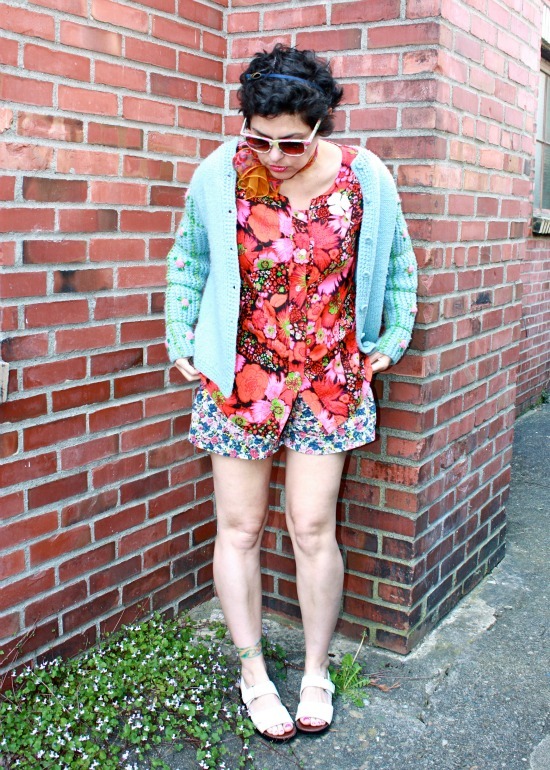 And B) it is strange to link up to a current post of mine which does not feature thrifted clothes. Don't know how to comply.